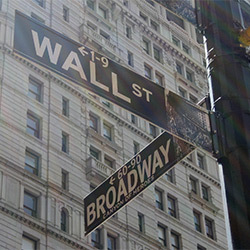 Put a stop to Wall Street banks' financial dishonesty. Sign the petition! Big banks are perpetuating America's economic problems by continuously making poor decisions. The banking system based on gambles and promises has left more people in financial distress than at almost any other time in history. Many banking executives who made decisions that have created the current crisis are still in power. They enjoy enormous bonuses while their questionable leadership choices increase their personal wealth at the expense of the poor and middle class. We cannot allow these leaders to carry on with their tricks and irresponsibility. They must not profit while expanding the gap between America's rich and poor. Sign the petition telling the Chairman of the Senate Banking Committee to crack down on these businesses and create legislation that will enforce corporate responsibility. As you know, our nation's financial situation has become worse than almost ever before. With banks haphazardly lending, gambling, and hiding information about their inside operations, it seems the American people have no one to trust when it comes to their economic safety in this day and age. Gone are the days when we could deposit our money into a reputable bank and leave without worrying it won't be there the next day. Sadly, this is the reality we all now face. The government cannot continue to support the sheer senselessness and lack of regard for common people that the Wall Street banks are purporting. The US government must represent its constituents' best interest at all times, and unfortunately, has not been doing so with regards to this matter. As the Senate Banking Committee Chairman, you have the responsibility to make sure those you represent have a voice. As of now, those who need help the most aren't getting it, and those who need it the least are walking away with billions of dollars. Something is wrong here. Please take the necessary steps to address this problem, whether it be through legislation, lobbying, or simply talking to your colleagues as often as possible about the financial crisis Americans are facing as a result of greedy Wall Street bank tactics. That's 5,075 signatures! Let's keep the ball rolling.